William (Bill) Mahoney is an NCAR Associate Director and Director of the Research Applications Laboratory (RAL) at the National Center for Atmospheric Research (NCAR), in Boulder, Colorado. He has been involved in research and development activities for over 32 years and has directed weather research programs in aviation, surface transportation, social sciences, agriculture, performance assessment, intelligent forecast systems, wildland fire prediction, and renewable energy. Bill received his M.S. 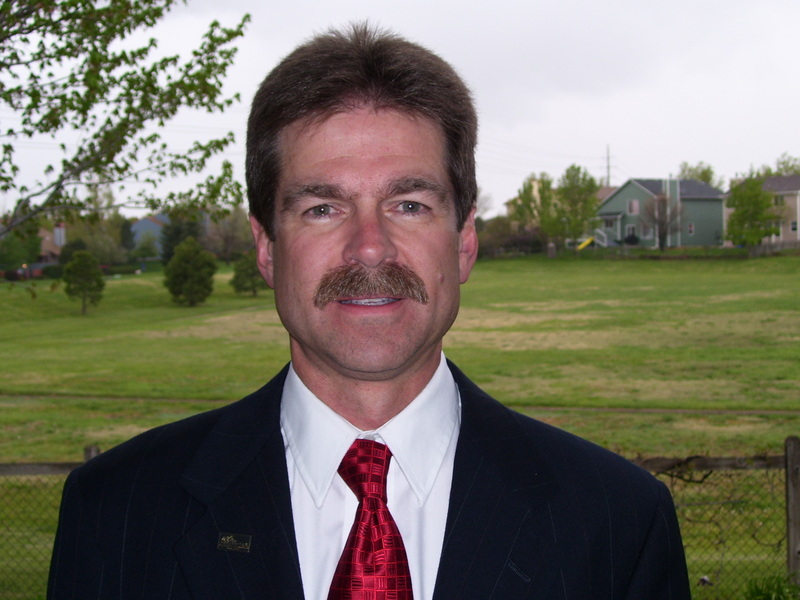 degree in Atmospheric Science from the University of Wyoming in 1983 and received his B.S. degree in Aeronautics from Miami University of Ohio in 1981. He spent more than a decade researching microburst wind shear and its impact on aviation operations and was involved in the development of the in-situ and radar based low-level wind shear alert systems. More recently his focus has been on developing advanced aviation weather systems, surface transportation weather hazard detection capabilities, wind and solar energy, and wildland fire behavior prediction technologies. In addition to his Laboratory management duties, He is involved in program development and technology commercialization activities at NCAR. Bill has written or co-authored more than 50 papers and frequently presents NCAR’s work at national and international conferences and seminars. He is a member of the American Meteorological Society (AMS), American Geophysical Union (AGU), Intelligent Transportation Society of America (ITSA), and American Wind Energy Association (AWEA). He served as the Chair of the AMS Board on Enterprise Economic Development and was a member of the AMS Economic Development Committee. Bill is the Past Commissioner of the AMS Commission on the Weather, Water, and Climate Enterprise, and is an AMS Fellow. Haupt, S.E., and W. Mahoney, 2015: Taming Wind Power with Better Forecasts. IEEE Spectrum, 22 October 2015. http://spectrum.ieee.org/green-tech/wind/taming-wind-power-with-better-forecasts. Haupt, S.E., W. Mahoney, K. Parks: 2014. Weather Matters for Energy. Springer Science+Business Media, New York, pp. 295-318, DOI 10.1007/978-1-4614-9221-4. Cheng, W.Y., Y. Liu, Y. Liu, Y. Zhang, W.P. Mahoney, T. Warner, 2013: The impact of model physics on numerical wind forecasts. Renewable Energy, 55, pp. 347–356. Mahoney, W.P., J.M. O’Sullivan, 2013: Realizing the Potential of Vehicle Based Observations. Bull. Amer. Meteor. Soc., 94, 1007-1018. Mahoney, W.P., K. Parks, G. Wiener, Y. Liu, B. Myers, J. Sun, L. Delle Monache, T. Hopson, D., Johnson, and S. Haupt, 2012: A Wind Power Forecasting System to Optimize Grid Integration. IEEE Transactions on Sustainable Energy, in press. Aguilar, T.A., Y. Liu, and B. Mahoney, 2011: An Investigation into the Spatiotemporal Scale of Two Wind Ramp Events in Northeastern Colorado. Second Conference on Weather, Climate, and the New Energy Economy. 23-27 January 2011, Seattle, WA, AMS, Boston, MA. Cheng, W., Y. Liu, B. Mahoney, M. Politovich, T. T. Warner, K. Parks, and J. Himelic, 2011: Improving the 0-3 hour wind forecast through wind farm data assimilation in the NCAR/ATEC WRF RTFDDA. Second Conference on Weather, Climate, and the New Energy Economy. 23-27 January 2011, Seattle, WA, AMS, Boston, MA. Delle Monache, L., A. Fournier, T. M. Hopson, Y. Liu, B. Mahoney, G. Roux, and T. Warner, 2011: Kalman filter, analog and wavelet post processing in the NCAR-Xcel operational wind-energy forecasting system. Second Conference on Weather, Climate, and the New Energy Economy. 23-27 January 2011, Seattle, WA, AMS, Boston, MA. Johnson, D. B., B. Mahoney, Y. Liu, G. Wiener, W. Myers, and K. Parks, 2011: An overview of NCAR's advanced wind forecasting system for integrating wind resources into the new energy economy. Second Conference on Weather, Climate, and the New Energy Economy. 23-27 January 2011, Seattle, WA, AMS, Boston, MA. Liu, Y., W. Cheng, G. Roux, Y. Liu, L. Delle Monache, M. Pocernich, B. Kosovic, T. M. Hopson, A. Bourgeois, G. Wiener, T. Warner, B. Mahoney, and D. B. Johnson, 2011: Wind energy forecasting with the NCAR RTFDDA and ensemble RTFDDA systems. Second Conference on Weather, Climate, and the New Energy Economy. 23-27 January 2011, Seattle, WA, AMS, Boston, MA. Liu, Y., W. Cheng, G. Wiener, B. Lambi, and B. Mahoney, 2011: Statistical Analysis of intra-farm microscale wind characteristics at selected Xcel wind farms. Second Conference on Weather, Climate, and the New Energy Economy. 23-27 January 2011, Seattle, WA, AMS, Boston, MA. Liu, Y., T. Warner, Y. Liu, C. Vincent, W. Wu, B. Mahoney, S. Swerdlin, K. Parks, J. Boehnert, 2011. Simultaneous nested modeling from the synoptic scale to LES scale for wind energy applications. Journal of Wind Engineering and Industrial Aerodynamics, 99, pp. 308-319. Sun, Juanzhen, Y. Zhang, Z. Ying, G. Wiener, N. Oien, and W. Mahoney, 2011: A rapid-updated wind analysis system based on mesoscale model, radar, and surface data for ramp-event wind energy forecasting. Second Conference on Weather, Climate, and the New Energy Economy. 23-27 January 2011, Seattle, WA, AMS, Boston, MA. Chapman, M.C., S.D. Drobot, T. Jensen, C. Johansen, W.P. Mahoney III, P.A. Pisano, and B. McKeever, 2010: Using vehicle probe data to diagnose road weather conditions – results from the Detroit IntelliDrive (SM) field study. Transportation Research Record, No. 2169, Maintenance Services and Surface Weather, pp. 116-127. Drobot, S.D., M.C. Chapman, E. Schuler, G. Wiener, W.P. Mahoney III, P.A. Pisano, and B. McKeever, 2010: Improving road weather hazard products with vehicle probe data – the Vehicle Data Translator quality-checking procedures. Transportation Research Record, No. 2169, Maintenance Services and Surface Weather, pp. 128-140. Liu, Y., T. Warner, W. Mahoney, K. Parks, Y.-H. Wan, 2010: Analysis and prediction of winds for inland wind farms: NWP modeling tools and challenges. Submitted to Wind Energy. Mahoney, B, S. Drobot, P. Pisano, B. McKeever, and J. O’Sullivan: Vehicles as Mobile Weather Observation Systems. Bull. Amer. Meteor. Soc., 91, 1179-1182. Drobot, S.D., Mahoney, W.P., Pisano, P.A., and McKeever, B.B., 2009: Tomorrow’s forecast: informed drivers. ITS International, 15, NA1-NA2. Mahoney, W.P., S. Drobot, E. Shuler, G. Wiener, M. Chapman, P. Pisano, B. McKeever, A. Stern: IntelliDrive Road Weather Research & Development – The Weather Data Translator. Intelligent Transportation Society of America, June 1-4 2009, Washington, D.C. Petty, K.R., and W.P. Mahoney, 2008: Enhancing Weather Information Through Vehicle Infrastructure Integration. Transportation Research Record, No 2015. Transportation Research Board of the National Academies, January 2007, Washington, D.C., pp. 132-140. Stern, A.D., P. Pisano, K. Petty, and W. Mahoney, 2008: A Next Generation of Observations Based on Passenger Vehicles. Preprints, 24th Conference on Interactive Information and Processing Systems, 21-24 January 2008, New Orleans, LA., AMS, Boston, MA. Mahoney, W.P., W. Myers, P. Pisano, R. Hallowell, and A. Stern, 2006: The U.S. Federal Highway Administration Winter Road Maintenance Decision Support System (MDSS) Project: Overview and Results. Preprints, 12th International Winter Road Congress, 27-30 March 2006, Torino, Italy. Wolff, J.K., S. Linden, and W. Mahoney, 2006: Ensemble Forecast Spread and its Implication for Road Weather Forecasting. Preprints, 21th Conference on Interactive Information and Processing Systems, 30 January – 3 February 2006, Atlanta, GA. AMS, Boston, MA. J. Cowie, A.D. Stern, G. Koenig, G. Phetteplace, P. Schultz, P.A. Pisano, and D. Burkheimer. The Federal Highway Administration's Maintenance Decision Support System Project: Summary Results and Recommendations. Transportation Research Record 1911, TRB, National Research Council, Washington, D.C., 2005, pp. 133-142. Mahoney, W.P., and R.A. Wagoner, 2005: Surface Transportation Weather Forecasting and Observations: Assessment of Current Capabilities and Future Trends. Preprints, 12th World Congress on Intelligent Transportation Systems, 6 - 10 November, 2005, San Francisco, CA. Mahoney, W.P., and R.A. Wagoner, 2005: Surface Transportation Weather Forecasting and Observations: Assessment of Current Capabilities and Future Trends. Mid-Continent Transportation Research Symposium, Iowa State University, 18-19 August 2005, Ames, Iowa. Mahoney, W.P., 2005: Federal Highway Administration’s Maintenance Decision Support System Project: Summary Results and Recommendations. Transportation Research Board, 84th Annual Meeting, 9-13 January 2005, Washington, D.C.
Pisano, P.A., A.D. Stern, and W.P. Mahoney: The U.S. Federal Highway Administration Winter Road Maintenance Decision Support System (MDSS) Project. Standing International Road Weather Commission, 12th International Road Weather Conference, Bingen, Germany, June 2004. Pisano, P.A., A.D. Stern, and W.P. Mahoney: Winter Road Maintenance Decision Support System (MDSS): Demonstration Results and Future Plans. Preprints, 20th Conference on Interactive Information and Processing Systems, 12-16 January 2004, Seattle, WA. AMS, Boston, MA. Pisano, P.A., A.D. Stern, Mahoney, W.P., Myers, W.L., and D. Burkheimer: Winter Road Maintenance Decision Support System Project (MDSS): Overview and Status. Transportation Research Board, 6th International Symposium of Snow and Ice Control. Spokane, WA., June 2004. Mahoney, W.P. and L. Smithson, 2003: Improving the Safety, Efficiency, and Capacity of the Highway System by Improving the Use of Weather Information. Forum White Paper. AMS Policy Forum: Weather and Highways, 4-5 November 2003, Washington, D.C., AMS, Boston, MA. Mahoney, W.P., 2003: Decision Support Systems for Winter Road Maintenance: Opportunities for Radar Data. Preprints, 31st Conference on Radar Meteorology, 6-12 August 2003, Seattle, WA. Amer. Meteor. Soc, Boston, MA. Mahoney, W.P., and W. L. Myers, 2003: An Advanced Weather and Road Condition Decision Support System. Preprints, 9th World Congress on Intelligent Transportation Systems, 14-18 October 2003, Chicago, IL. Mahoney, W.P., and W. L. Myers, 2003: The Winter Road Maintenance Decision Support System (MDSS): Project Update and Future Plans. Preprints, 19th Conference on Interactive Information and Processing Systems, 9-13 February 2003, Long Beach, CA. AMS, Boston, MA. Mahoney, W.P., 2003: The Prototype Winter Road Decision Support System (MDSS): Project Status and Preliminary Results. Preprints Intelligent Transportation Society of America (ITSA) Annual Meeting, 18-23 May 2003, Minneapolis, MN. Mahoney, W.P., and W. L. Myers, 2003: Predicting Weather and Road Conditions: An Integrated Decision Support Tool for Winter Road Maintenance Operations. Transportation Research Record: Journal of the Transportation Research Board, No 1824, 2003, pages 98-105. Mahoney, W.P., 2001: An Advanced Weather Information Decision Support System for Winter Road Maintenance. Preprints, 8th World Congress on Intelligent Transport Systems, 30 September – 4 October 2001, Sydney, Australia. Mahoney, W.P., 2001: An Advanced Winter Road Maintenance Decision Support System. Preprints, Intelligent Transportation Society of America (ITSA) 2001 Annual Meeting, 4 – 7 June 2001, Miami Beach, Florida. Mahoney, W.P. and Bruce Donaldson, 1997: Automatic Windshear Warning System Designed to Enhance Flight Safety and Operational Efficiency. ICAO Journal, January/February 1997. Mahoney, W.P. and Bruce Donaldson, 1996: The Operational Windshear Warning System for Hong Kong's New Airport, Journal of Air Traffic Control, Oct-Dec 1996. Mahoney, W.P., Edward Brandes, and Robert Barron, 1994: Weather Detection for Airport Terminals: Advanced Radar Design Considerations, European Commission, COST 75, Weather Radar Systems, International Seminar, Brussels, Belgium, 20-23 September 1994, 626-637. Mahoney, W.P. III and Cleon Biter, 1993: Windshear detection: terminal Doppler weather radar and the low-level windshear alert system operational experiences in Denver 1987-1992, Preprints, 5th Intl. Conf. On Aviation Weather Systems, 1-5 August, Vienna, VA. AMS, Boston, MA. Cornman, L.B., and W.P. Mahoney III, 1991: Integration of the TDWR and LLWAS windshear detection systems, Preprints, 4th Intl. Conf. On Aviation Weather Systems, 24-28 June, 1991, Paris, France. AMS, Boston, MA, J27-J32. Mahoney, W.P. III, 1991: The Aviation Weather Development Laboratory (AWDL): Preprints, 4th Intl. Conf. On Aviation Weather Systems, 24-28 June, Paris, France. AMS, Boston, MA, 112-117. Mahoney, W.P. III and K. L. Elmore, 1991: The Evolution and Fine-Scale Structure of a Microburst-producing Cell. Monthly Weather Review, January, 119, 176-192. Brislawn, K., W. Wilson, W. P. Mahoney, G. Wiener and K. Goodrich: Microburst detection and display by TDWR: Shape, extent and alarms, 1989: Preprints to the 3rd International Conference on the Aviation Weather System, Anaheim, CA, 28 January - 3 February. AMS, Boston, MA. Klingle-Wilson, D., S. H. Olson, W. Wilson, W. P. Mahoney, S. D. Smith, A. Witt and M.D. Eilts, 1989: Gust front detection algorithm for the terminal Doppler weather radar: Part 2, performance assessment. Preprints to the 3rd International Conference on the Aviation Weather System, Anaheim, CA, 28 January - 3 February. AMS, Boston, MA. Mahoney, W.P. III and K. L. Elmore, 1989: The source region and evolution of a microburst downdraft. Preprints to the 24th Conference on Radar Meteorology, Tallahassee, FL, 27-31 March. AMS, Boston, MA. Mahoney, W.P. III, W. Wilson, K. Brislawn and M.K. Politovich, 1989: Microburst detection by TDWR: Performance assessment. Preprints to the 3rd International Conference on the Aviation Weather System, Anaheim, CA, 28 January - 3 February. AMS, Boston, MA. Mahoney, W.P., 1988: Gust front characteristics and the kinematics associated with interacting thunderstorm outflows. Monthly Weather Review, 116, 1474-1491. Mahoney, W.P., III, 1987: The initiation of convection from gust front collisions. Preprints to the 3rd Conference on Mesoscale Processes, Vancouver, B.C., Canada, 21-26 August. AMS, Boston, MA, 211-212. Mahoney, W.P., III, 1987: Aircraft measurements on microburst development from hydrometeor evaporation. Journal of Atmospheric Science, 44, 3037-3051. Mahoney, W.P.III, 1983: The development of downdrafts from the evaporation of hydrometeors. Report No. AS 144, Dept. of Atmospheric Sciences, University of Wyoming, 146 pp. Rodi, A.R., K.L. Elmore and W.P. Mahoney, 1983: Aircraft and Doppler air motion comparisons in a JAWS microburst. Preprints to the 21st Conference on Radar Meteorology, Edmonton, Alberta, Canada, 19-23 September. AMS, Boston, MA, 624-629. As Deputy Director of NCAR's Research Applications Laboratory, I am interested in supporting the development of a broad array of science-based solutions to address decision maker needs in many sectors including the following.